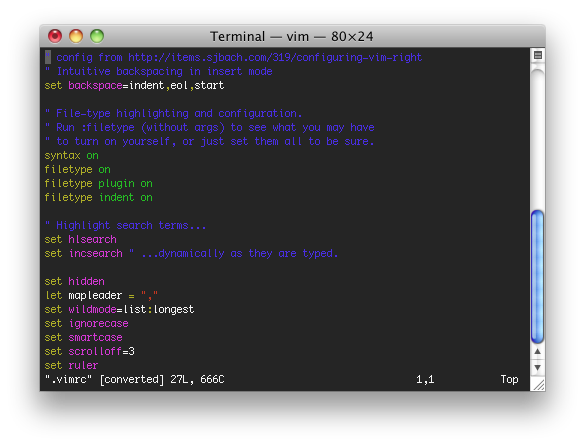 This site has lots of useful configuration options to consider to make vim more useful. 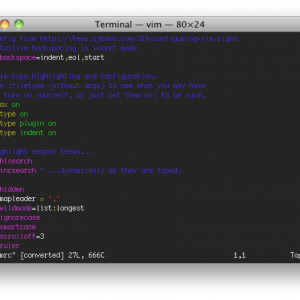 The .vimrc file is located in your home directory, and affects vi and vim everywhere (including through SSH and in screen). There’s lots of options you can add to it. Here’s the selection I’ve gone for, after reading the article linked above.